Find here all your deals and coupons Beauxnarrow. British label that was created to bridge the gap between high-end luxury fashion and urban streetwear. Inspired by British history, cultural heritage, and modern society, the brand focuses on creating bold eccentric standout pieces for youth street-luxe culture. 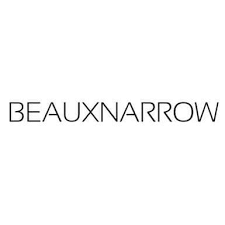 The name ‘Beauxnarrow’ was devised from the word “Bow and Arrow” and it represents the brave-hearted individuals of society who aren’t afraid to push set boundaries and challenge the status quo. At Beauxnarrow, we believe that fashion is art that should be used as a medium to showcase the diverse human traits and culture.